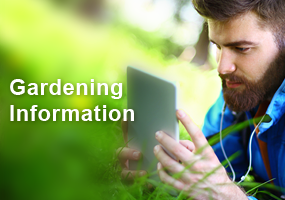 The Master Gardener Program in Washburn County started in 1999. Over 150 people have been trained since that time, and there are currently 13 certified Master Gardener Volunteers (MGVs) for 2016. The UWEX Educator facilitating the MG Program is Agriculture Agent Kevin Schoessow. The Spooner Elementary School Helping Hands Garden is maintained by third-grade students with guidance from MGVs. They started peppers, tomatoes, and squash from seed beginning in April and later planted the garden. 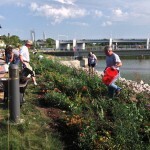 The flower beds were designed by the third-graders. New this year were a bean pole tepee, cucumber and squash trellis, recycled tin can chains, colored lathes and labels. 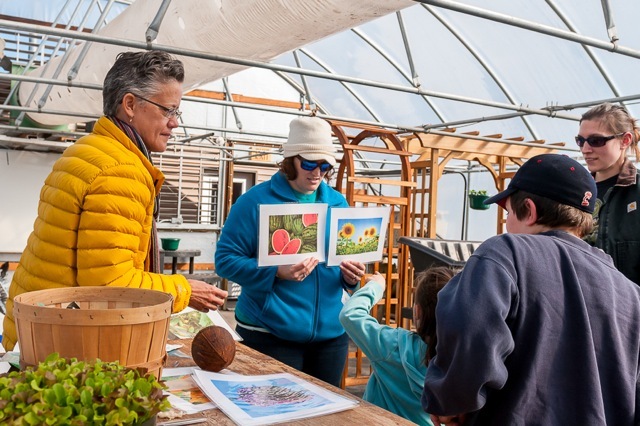 Twenty-four youths and 16 adults participated in two sessions of our Mini Master Gardener Short Course held at a local greenhouse and the Spooner Ag Research Station. They explored the secrets of soil, incredible edibles, seeds, sprouts and shoots; paper pots; and tomato transplants. The second session introduced them to hot and healthy composting, weeds, waste free watering, going vertical with pole beans and cucumbers, and small space gardens. 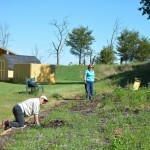 The 3,000 square foot Spooner Agriculture Research Station Teaching and Display Garden is designed and maintained with the help of volunteers. During the growing season the garden hosts many training events and has visitors from schools, garden clubs, and residents of the area. Featured in the garden this year was organic vegetables, All American Selections annual flowers, and a perennial display. The garden won national first-place recognition for the “Down on the Farm” theme in 2014 from the All American Selections Landscape Garden Design Contest and in 2015 placed second with a geometric theme. Over 1000lbs of vegetables were donated to local food shelves and to school nutrition programs. * using the current estimated dollar value of volunteer time in Wisconsin of $22.24 per hour, from Independent Sector. Cumulative value based on previous annual estimates. Where you can find activities by MGVs in Washburn Co. The Master Gardener Program in Juneau Co. started in 2005. 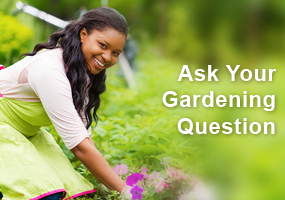 Over 140 people have been trained since that time, and there are currently 19 certified Master Gardener Volunteers (MGVs) for 2016. The UWEX Educator facilitating the MG Program is Agriculture Agent Craig Saxe. Read more in this excerpt from the 2015 accomplishment report. The Master Gardener Program in Brown County started in 1979. 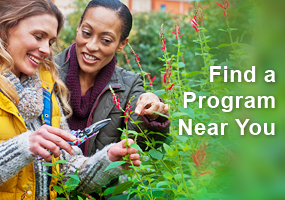 Over 300 people have been trained since that time, and there are currently 69 certified Master Gardener Volunteers (MGVs) for 2016. The UWEX Educator facilitating the MG Program is Horticulture Educator Vijai Pandian. Read more in this excerpt from the 2015 accomplishment report.